There is a big relief for the investors and residents of Bahria Town Karachi as the issue with the court has been sorted out and the buying and selling is in full swing at the present moment. 𝗧𝗵𝗲 𝗵𝗼𝗻𝗼𝘂𝗿𝗮𝗯𝗹𝗲 𝗦𝘂𝗽𝗿𝗲𝗺𝗲 𝗖𝗼𝘂𝗿𝘁 𝗵𝗮𝘀 𝗮𝗰𝗰𝗲𝗽𝘁𝗲𝗱 𝘁𝗵𝗲 𝗼𝗳𝗳𝗲𝗿 𝗼𝗳 𝟰𝟲𝟬 𝗕𝗶𝗹𝗹𝗶𝗼𝗻𝘀 𝗼𝗳 𝗮𝗻𝗱 𝗮𝗹𝘀𝗼 𝗮𝗹𝗹𝗼𝘄𝗲𝗱 𝘁𝗵𝗲 𝗺𝗮𝗻𝗮𝗴𝗲𝗺𝗲𝗻𝘁 𝗼𝗳 𝗕𝗮𝗵𝗿𝗶𝗮 𝗧𝗼𝘄𝗻 𝘁𝗼 𝗴𝗶𝘃𝗲 𝘀𝘂𝗯 𝗹𝗲𝗮𝘀𝗲 𝘁𝗼 𝘁𝗵𝗲𝗶𝗿 𝗽𝗹𝗼𝘁 𝗵𝗼𝗹𝗱𝗲𝗿𝘀 𝘄𝗵𝗶𝗰𝗵 𝗶𝘀 𝘁𝗵𝗲 𝗯𝗶𝗴𝗴𝗲𝘀𝘁 𝗯𝗿𝗲𝗮𝗸𝘁𝗵𝗿𝗼𝘂𝗴𝗵. Right now the prices are increasing on day to day basis and it is very hard to find good location plots in reasonable prices but people are ready to pay premium prices now. When investors are investing in any new project they are more likely to make comparisons with the previous projects and they are interested in examining the history of the previous projects launched by that particular developer. Therefore, before investing in Bahria Town Karachi our respected investors must have an idea that what happened with the investors of the other projects of Bahria Town. I have been with Bahria Town since Pindi times and had seen the boom of Bahria Town Pindi and Bahria Town Lahore. Just to give an example to the honourable readers that 𝘁𝗵𝗲 𝟮𝟱𝟬 𝘆𝗮𝗿𝗱𝘀 (𝟭𝟬 𝗺𝗮𝗿𝗹𝗮) 𝗽𝗹𝗼𝘁 𝘄𝗵𝗶𝗰𝗵 𝘄𝗮𝘀 𝗹𝗮𝘂𝗻𝗰𝗵𝗲𝗱 𝗯𝘆 𝗕𝗮𝗵𝗿𝗶𝗮 𝗧𝗼𝘄𝗻 𝗶𝗻 𝗥𝗮𝘄𝗮𝗹𝗽𝗶𝗻𝗱𝗶 𝗳𝗼𝗿 𝟳 𝗹𝗮𝗰𝘀 𝗶𝘀 𝗻𝗼𝘄 𝗶𝗻 𝗯𝗲𝘁𝘄𝗲𝗲𝗻 𝟭𝟯𝟬-𝟭𝟱𝟬 𝗹𝗮𝗰𝘀. 𝗧𝗵𝗲 𝟮𝟬𝟬 𝘆𝗮𝗿𝗱𝘀 (𝟴 𝗺𝗮𝗿𝗹𝗮) 𝗽𝗹𝗼𝘁 𝘄𝗵𝗶𝗰𝗵 was offered in Bahria Town Lahore for 6 lacs is now 95 lacs and the 250 yards plot which was offered for 12 lacs is now in between 130-140 lacs. The 125 yards (5 marla) commercial which was offered in Bahria Town Lahore in for 30 lacs is now in between 7-10 crores. The property in the previous projects has been multiplied many times and one of the main reasons behind this is excellent development and most importantly continuous maintenance of the society. 𝗧𝗵𝗲 𝗮𝗯𝗼𝘃𝗲 𝗺𝗲𝗻𝘁𝗶𝗼𝗻𝗲𝗱 𝗳𝗶𝗴𝘂𝗿𝗲𝘀 𝗮𝗿𝗲 𝗻𝗼𝘁 𝗳𝗮𝗸𝗲 𝗮𝗻𝗱 𝘁𝗵𝗲 𝗮𝘁𝘁𝗮𝗰𝗵𝗲𝗱 𝗽𝗶𝗰𝘁𝘂𝗿𝗲 𝗼𝗳 𝗮𝗻 𝗼𝗹𝗱 𝗻𝗲𝘄𝘀𝗽𝗮𝗽𝗲𝗿 𝗮𝗱𝘃𝗲𝗿𝘁𝗶𝘀𝗲𝗺𝗲𝗻𝘁 𝗶𝘀 𝗮 𝗽𝗿𝗼𝗼𝗳 𝗳𝗼𝗿 𝘁𝗵𝗶𝘀. 𝗧𝗵𝗲 𝗮𝘁𝘁𝗮𝗰𝗵𝗲𝗱 𝗽𝗶𝗰𝘁𝘂𝗿𝗲 𝘀𝗵𝗼𝘄𝘀 𝘁𝗵𝗮𝘁 𝟳 𝗺𝗮𝗿𝗹𝗮 (𝟭𝟳𝟱 𝘆𝗮𝗿𝗱𝘀) 𝗽𝗹𝗼𝘁 𝘄𝗮𝘀 𝗹𝗮𝘂𝗻𝗰𝗵𝗲𝗱 𝗯𝘆 𝗕𝗮𝗵𝗿𝗶𝗮 𝗧𝗼𝘄𝗻 𝗳𝗼𝗿 𝟭𝟱𝟱𝟬𝟬𝟬/= 𝗶𝗻 𝘆𝗲𝗮𝗿 𝟮𝟬𝟬𝟬 𝗮𝗻𝗱 𝗶𝘁𝘀 𝘄𝗼𝗿𝘁𝗵 𝗶𝘀 𝟵𝟱-𝟭𝟭𝟬 𝗹𝗮𝗰𝘀 𝗺𝗶𝗻𝗶𝗺𝘂𝗺 𝗮𝘁 𝘁𝗵𝗲 𝗽𝗿𝗲𝘀𝗲𝗻𝘁 𝗺𝗼𝗺𝗲𝗻𝘁. 𝗪𝗵𝗮𝘁 𝗲𝗹𝘀𝗲 𝘆𝗼𝘂 𝗻𝗲𝗲𝗱 𝗮𝗴𝗮𝗶𝗻𝘀𝘁 𝘆𝗼𝘂𝗿 𝗶𝗻𝘃𝗲𝘀𝘁𝗺𝗲𝗻𝘁?? I personally lived in DHA for more than 25 years which is considered to be the strongest real estate brand in Pakistan but trust me there is no residential society in Pakistan which can be compared with Bahria Town Karachi at the present moment. In coming years people will see massive gains against their investment in this society. Precinct 1 of Bahria Town Karachi is a prime example and it also justifies my above explanation. The 272 yards plot which was launched by Bahria Town in 28 lacs is now in between 120-150 lacs and this is just the start and it will go upto 3 crores minimum. The above mentioned figures and the attached old newspaper advertisement are very fascinating and attracted for majority of the people but pls do remember people have lost significant amount of their investments in Bahria Town projects as well. The reason behind this is they went with the flow and never consulted any expert before making the investment. Therefore, it is very important as an investor that one must know in which area you should invest and everything cannot be bought blindly even in Bahria Town Karachi. One must have an idea that which areas are best for investment and the expert advice really matters a lot. Just don’t rely on your gut own feelings or the advice of the next door neighbour and please consult those who are experts of their field. 𝗪𝗵𝗮𝘁 𝘁𝗼 𝗕𝘂𝘆 𝗶𝗻 𝘁𝗵𝗲 𝗖𝘂𝗿𝗿𝗲𝗻𝘁 𝗦𝗶𝘁𝘂𝗮𝘁𝗶𝗼𝗻? Although 125 yards and 250 yards of Bahria Town Karachi is a hot item, however, it is important to understand that not everything can be bought blindly. 𝗔𝗹𝗶 𝗕𝗹𝗼𝗰𝗸 𝗮𝗻𝗱 𝗣𝗿𝗲𝗰𝗶𝗻𝗰𝘁 𝟭𝟱 𝗮𝗿𝗲 𝗵𝗶𝗴𝗵𝗹𝘆 𝗿𝗲𝗰𝗼𝗺𝗺𝗲𝗻𝗱𝗲𝗱 𝗳𝗼𝗿 𝟭𝟮𝟱 𝘆𝗮𝗿𝗱𝘀. Bahria Town Karachi has turns to wonderful reality due to its remarkable and magnificent life style. Residential Plots, Villas, Apartments, and Commercial Plots are ready for Possession with historical infrastructure, attractive surrounding, amusement places, latest facilities and complete security. Bahria Town Karachi is Presenting you International Standards Day and Night Zoo Called Danzoo. The zoo is occupied by a large space where huge variety of birds and animal are kept in different cages. These animals and birds are imported from different areas of world. 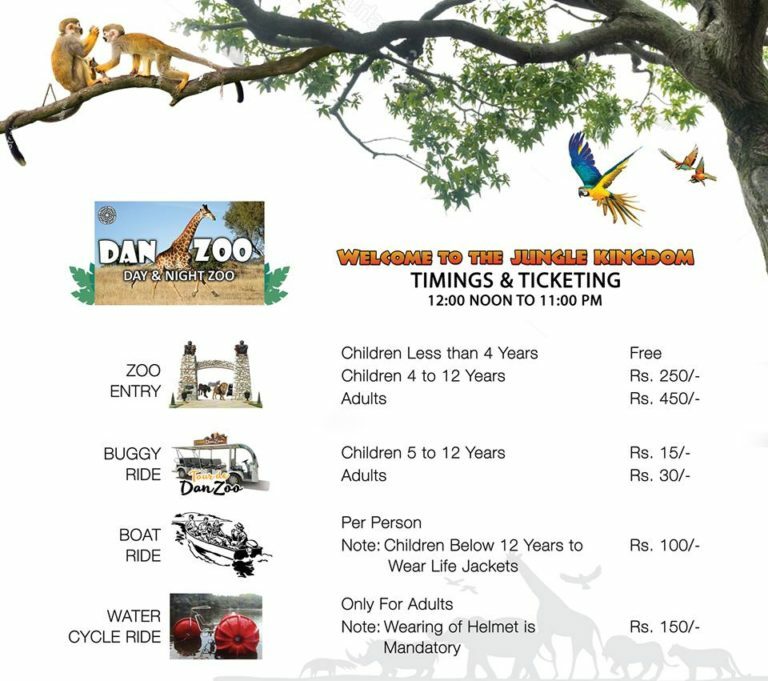 You can have a tour to Danzoo by a Ride. It's a best place of amusement for your family. Spent a quality time with your belonging and make memories. Hoshang Pearl is another beneficial project of Bahria Town. It will provide Pakistan's most luxurious apartments and penthouses. It is located on hoshang road, which is adjacent to Karachi club. It is connected with the main city and the places like a business hub, commercial markets, and main roads are easily accessible. Both local and international architects and designers are involved in the construction of this tower. It is 31 story building which contains 2 and 3 bed apartments and also 4-bed luxurious penthouses. Moreover, it includes Cinema, Health club, Spa, Open to sky Swimming Pool, Restaurant, World Class Gymnasium, Salon, and cafe. And the facilities like 24/7 real-time CCTV coverage, express elevator, 100 % back up power, high performance and air conditioning system are also available. You can get all the facilities of life at your doorstep. Booking is open now. So avail this opportunity at first come first serve basis. If you want to book an apartment or want to get more details then contact us at 0301-5454249. Bahria Town Karachi celebrates the opening ceremony of Pakistan's most advanced healthcare hospital on 30th March 2018. It was a grand opening ceremony. Mr. Ahmed Riaz Malik CEO of Bahria Town was the chief guest of that ceremony. COO of Bahria Town Karachi Admiral Ahmed Hayat, people of management, residents of Bahria Town, the specialist from the field of medicine and many media and social personalities joined that ceremony. Already three hospitals are working with the tag of Bahria Town International Hospitals in Karachi, Lahore, and Rawalpindi. First Bahria Town International Hospital was established in 1997 and since then it has served thousands of people in Pakitan. The latest one is now opening in Bahria Town Karachi. It is a 120-bed hospital. Which is fully equipped with all medical services like 24/7 Emergency, and trauma center, OBS, ICU, NICU, CCU, Radiology, ECG, MRI, CT Scan, Mammography, Laboratory, X-Ray, Neurology, diagnostic and treatment. Internationally trained and experienced doctors are available to provide perfect treatment and care and they are successfully handling the cardiac and cardiothoracic surgeries, liver, kidney transplant and corneal transplant surgeries. Bahria Town International Hospital takes the initiative to introduce cochlear implant project for public welfare. Dancing Fountain Played a special tribute to the dreamers and brave people of Pakistan. On the precious occasion of 23 March, people were inspired by this act and are now committed to build a new peaceful, progressive and prosperous Pakistan. Only families were allowed to that event and there was no entry fee. People cheered a lot with their families and on the special occasion of Pakistan Resolution. Dancing Fountain represents a glorious and outstanding view, which is the symbol of more powerful and peaceful Pakistan. From Bahria Town Management, It is informed to all that on behalf of the Open Merger Certificate of Rs 15,00,000/- issued by Awami Villas, the booking of 5 Marla Plots of Bahria Town Karachi project is starting from 1st April 2018. Booking forms can get from the offices of Bharia Town Karachi, Lahore, and Rawalpindi. you don't have to pay any type of processing or membership fee at the time of booking but it would be compulsory to bring original Merger Certificate with you. Bahria Sport City Karachi has good news to share. The possession handover of Villas and Residential plots of Bahria Sports City Karachi is going to start from 23 March 2018 instead of the year 2020. That means delivering 2 year before scheduling time. 250, 500 and 1000 square yards residential plots are available. Construction of Villas are in completion stages. 350 Square yards 4 Bed Luxury Villas are the best part of that project. Model houses are ready for visit. That project includes 50,000 Pakistan's largest and most modern Rafi Cricket Stadium inspired by Dubail International Cricket Stadium. This stadium will provide a unique exercise to the sport lovers. Bahria Sport City is a place where action and leisure will will in harmony. Unique design approach with modern architecture with sports facilities make it an ideal place. The football ground will be an addition for revival of sports in Pakistan. Bahria Sport City Karachi will also includes Gym, Tennis, Squash and Badminton Court. This is the right place to live healthy and sporty lifestyle. Bahria Town Karachi Sightseeing brings you a chance now to explore all the coolest places inside Bahria Town Karachi at once. Bahria Town is going to provide you the best opportunity to explore places of your dream. it is the convenient way of visiting for the foreign visitor's as well as for local people. It will be only operational on Friday, Saturday and Sunday from Carnival Area, Bahria Town Karachi. Stay tune with us for more details. contact us to get latest updates and information. Bahria Town Presents Bahria Adventure Land, Pakistan's First International Standard Theme Park. It is being built in collaboration with the best italian manufactutres, featuring countless attractions of the highest standards. Whether you want to take a cheerful train ride to discover each of our unique kingdoms, experience a fall in zero gravity or observe the spectacular night-time events, you will not want to miss any of the exhilarating adventures that awaits. Bahria Town Karachi launch international standard Bahria Fire Station. Bahria Town inaugurate an international standard Fire Station. Bahria Town fire station is equipped with the latset state-of-art fire tenders manufactured by Dubai based company Naffco and highly trained firefighters. the latest wireless communication system increases the functionality of this system. Bahria Town held an elegant opening ceremony of the newly built fire station. Ahmad Ali Riaz Malik, CEO Bahria Town, was the chief guest at this ceremony. Ahmad Ali Riaz Malik said, "the fire station will a long way to fulfill Bahria Town promise of providing safest life style to its residents". He added, " We have now formally inaugurated Bahria fire station as the building just got completed. However, our fire department has been working for the last year and had provided rescue and support to accidents on the motorway in the last few months. We pray that no disaster takes place in the city of Karachi but if ever needed, we are there to extend our maximum support". FBR Pakistan released notification couple of day ago as per 11 Dec 2017. FBR changed the policy regarding real estate of Pakistan. FBR revised the plan of 2016 tax process. Overall, an increase of 25-30% occurred in six to seven major cities of Pakistan during the past few months. Increased property values meant FBR was on the way to collect more revenue through taxes. However, latest decision by the Board will see decreased property rates in following cities of Pakistan. Karachi will also fall under FBR’s new policy. In Karachi, property value in DHA will decrease by 17.5% to stand at Rs 7,500 per square yard. Industrial plots will also see a cut of 20% to stand at Rs 9,603 per square yard. Prices of built-up industrial parks will be Rs 1,905 square yard after a 36.5% decrease. Earlier real estate stakeholders protesting against the property tax to reduce as much as FBR can but FBR came up with slashing strategy to increase the tax on Property which mean the sell and purchase of property will be reduce in coming days. Due to high taxation rate on Property By FBR. Let us hope that FBR will review the tax implementation. FBR already misses the target Revenue Collection by whopping 21 Million PKR. For more details follow our news blog shelter. Bahria Town Karachi latest news and development updates are daily uploading on our website. Today we are informing our clients about the revised map of precinct 37 and location of Eiffel tower Karachi. Bahria Town Karachi has issued the revised map of Precinct 37 with location of Eiffel Tower. Precinct 37 is one of the best precincts of Bahria Sports City Karachi which is located right opposite to Rafi Cricket Stadium on main Jinnah Avenue. Bahria Town has also revealed the location of Eiffel Tower that is planned in Precinct 37. 25 Acres of land is reserved for the Eiffel Tower that you can see in the image attached in news portal. precinct 37 prices will further increase due to this development. According to some sources, the new project ARY Residencia is also being planned in precinct 37. This is huge news for Bahria Town Karachi and people who already invested in Precinct 37 for more information please contact us. Ary Residencia is upcoming new booking of Bahria Town Karachi. The future belongs to those, who believe in the beauty of the dreams we Promise to deliver what you dream of ARY Residencia first ever High-Tech gated community in Sports City Bahria Town Karachi. The future of luxury and comfort be on your imagination the most prestigious project which aims satisfied to preferences of people who desire for lavish and luxurious living standards. Elegantly design 200 Sq. Yd. Artistic 3 bedroom villas, be ready to into new era of quality leaving adjacent cricket stadium ARY Residencia Sports City Bahria Karachi. For more details and information please contact us. Bahria Town Karachi hosted Pakistan’s grand new year celebration at tallest tower of pakistan Bahria Icon .Bahria Town is known for celebrating of all national and social events in unique and special way. Thousands of people witnessed amazing display of fireworks at Pakistan’s tallest building, Bahria Town Icon, in Karachi. As the clock ticked to midnight, the sky lit up with spectacular laser show and families also witnessed epic fireworks, dancing fountain and enjoyed music concert at the Bahria Town Karachi. Not only in Karachi Bahria Town Celebrates new year at Islamabad and lahore also. For more details Please Stay tune with our updates. Happy New Year to all of our readers. Pakistan tallest tower is on verge of finishing line of completion. According to Bahria Town Latest news update on private channel the project director stated that the tower is now last phase of completion. Malik Riaz Bahria Icon Tower which is located in Clifton at the Shahrah-e-Firdousi, hailed as Pakistan tallest building with sixty two floors , was inaugurated last night with a show of magnificent fireworks. People across Karachi dropped by to witness the stunning show of fireworks at this occasion. 95% of the construction work on the Karachi Icon tower has been completed so far. The building offers both the state of the art commercial and residential space with almost seven floors of the building dedicated as a parking area. It also has Pakistan first ever highest terraced restaurant and has the only double-Decker elevator with ultra high speed whereas serviced apartments span a total of 40 storeys in the Karachi Icon After the completion of this tower, Bahria Town Karachi and Pakistan will have good impact on business ground that can gain the interest of foreign investor to invest in Bright Pakistan. For More Information and details feel free to conatact us at 03315454249 or visit the listed below link for updates about bahria town karachi.